Managing multiple debts can be challenging. Debt consolidation is designed to make managing your debt a little easier. In short, a debt consolidation loan rolls multiple debts into one single payment. While debt consolidation can be useful in a wide range of situations, it is particularly favored by borrowers with high-interest debts, such as credit cards. Through a debt consolidation loan, you can reduce your overall debt by choosing to take on a lower-interest payment. Learn more about debt consolidation, how it works, and where you can go to get this type of loan. More than 80 percent of Americans have some sort of debt. From student loans and mortgages to credit cards and auto loans, paying off debt can be a balancing act that many people struggle with from one day to the next. Debt not only affects your finances but also your emotional health. Stress caused by excessive debt can even lead to physical health problems. Fortunately, there are ways to make debt more manageable for borrowers who seek relief. With debt consolidation, your debts are converted into one convenient payment with a lower interest rate. Instead of paying multiple payments each month to different creditors, you are responsible for just one payment that is less than what you pay now. For debtors who have owned up to their past money mistakes and are now able to properly manage their finances, debt consolidation can be an excellent tool. Paying off your current debts can be a major relief and although you will still have a monthly payment due, most find that having just one bill a month is considerably easier to handle then paying multiple debts. Here are just a few of the benefits that come along with a debt consolidation loan. Reduce Your Monthly Payments: With a debt consolidation loan, you have the option to spread out the terms of your debt thus reducing your monthly payments to a lower and more manageable payment. With traditional debt, you may only be paying the minimum payment which mostly includes interest. A debt consolidation loan allows you to have more control over your debt by paying down the principal faster. This also means paying back less interest in total at the end of your loan. 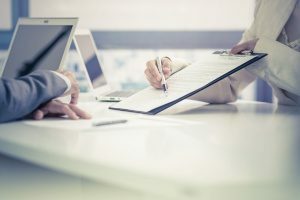 Improve Your Credit Rating: Many people who take out debt consolidation loans find that it has a positive impact on their credit. When you finally pay off the loan without accruing any further debt, you will likely see a large boost in your credit score. Debt consolidation loans are especially useful among debtors who frequently make late payments on their accounts which can have a drastic impact on your score. A debt consolidation loan acts as an effective tool for rebuilding your credit. Without a long list of debts to contend with, you can also stop those annoying collection calls and prevent creditors from turning your account over to the collection agencies. 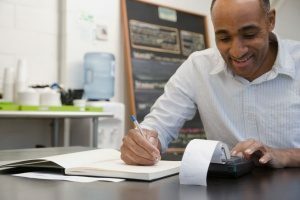 Lower Your Interest Rate: As previously mentioned, a debt consolidation loan is a great way to lower your interest rate for a more manageable monthly payment. High interest debts, such as credit card bills and car loans, can be difficult to pay off due to high interest rates. Many people carry around their debts for years as they are not able to put a big enough dent in the principal. By getting a debt consolidation loan, you can enjoy a lower interest rate which will save you money over the life of the loan. Become Debt Free Faster: After struggling to pay off debts for months or even years, it can feel great when you finally become debt free. When you stick to traditional methods of payment, it can take considerably longer to pay off your debts. However, a debt consolidation loan can help speed up the process by making the loan easier to pay and by reducing the amount you pay over the course of the loan. With a debt consolidation loan, many borrowers are able to eliminate their debt in a matter of just four to six years compared to the 10 to 20 years it may take otherwise. Who is a Debt Consolidation Loan Best For? While a debt consolidation loan has a number of benefits, it is not for everyone. You will want to thoroughly consider your financial status before deciding to consolidate your debt. 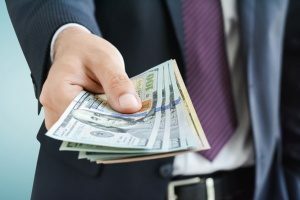 You may be a good candidate for a debt consolidation loan if your total debt does not exceed 50 percent of your income and if your credit is good enough to qualify for a 0 percent or low-interest debt consolidation loan. You may also be a good candidate if you have the necessary cash flow to make payments towards your debt. It is important to remember that while a debt consolidation loan can ultimately help you get out of debt, you must also put in the legwork. This means that you should not accrue anymore debt while in the process of trying to pay off your loan. Doing so can make it more difficult to pay your monthly bill and can cause it to take longer for you to become debt free. If you are willing to put in the effort and want to take advantage of the benefits of a debt consolidation loan, such as lower interest rates, then talk to a mortgage broker about the benefits of taking out a loan. 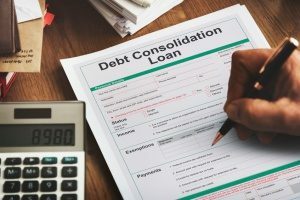 If credit cards or other forms of high interest debt are causing you problems, you may be considering a debt consolidation loan. While debt consolidation is not a quick fix, it can be the tool you need to get out of debt in a way that works best for your current finances. Do you want to learn more about debt consolidation loans and how they work? If so, contact an experienced mortgage broker in your area to see if you qualify.